Printed from http://www.bodytalksystem.com//learn/news/article.cfm?id=882 on Apr 19, 2019. "I was like a dry stick; now I feel peaceful in my heart, and I share this peace with my neighbors". These are the words of a victim describing to the New York Times (1) how she felt after the atrocities during the Rwandan genocide 20 years ago, and how it changed after a process of forgiveness and reconciliation. In February my family and I travelled to Rwanda to spend almost three weeks working and going to school. During these weeks I heard many stories of loss, betrayal, violence, and abandonment but also forgiveness, courage and resilience. Through stories from people I met, through films, books, articles and photo and art exhibitions I have been and am still looking for an answer to the burning question: How is it possible to get on with life after what happened? An estimated 800,000 Tutsis and moderate Hutus were killed in only one hundred days, most of them slaughtered with machetes in a very low-tech, face to face fashion. Rwanda is a tiny country smaller than my native Denmark, and the death toll amounted to about 20 percent of the then population. How can they – Hutu and Tutsi, perpetrator and victim – live side by side, work together, play football together and even inter-marry in what is, all things considered, a well functioning country. One way of answering this question is to look at the comprehensive reconciliation process that took place after the genocide. (2,3,4) What happened on a human level is something that I find deeply inspiring and that I recognize in the values and teachings of BodyTalk and the Life Sciences of the IBA. It is about daring greatly when working through emotions, realizing the power of letting go of something that no longer serves you, and it is about allowing yourself to really see another human being and connecting with an open mind. 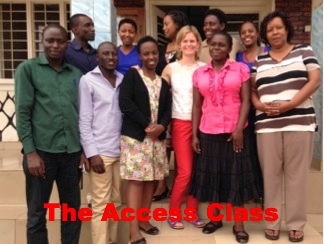 On February 18 I was honored to be able to teach the first Access class in Rwanda. This took the number of countries where Access classes have been taught to 47. I was lucky to connect with an organization called Aspire Rwanda, who invited me to teach an Access class for their staff. 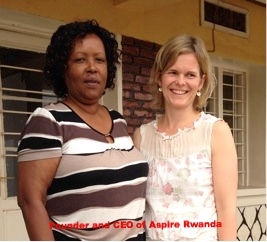 Founded by Peace Ruzage, Aspire Rwanda is an organization that offers vocational training, skills and education to vulnerable women living in poverty in Rwanda. They learn about first aid, nutrition, family law and family planning and learn skills such as hair braiding and cooking. There were ten students in the Access class, from the founder and CEO to the junior accountant. Three spoke almost no English, but we managed to get by with a combination of the local language, Kinyarwanda, French and English (of which I only speak the latter). I hadn't succeeded in finding any cotton buds in the shops in Kigali and there was no projector for the PowerPoint presentation either. However, there was plenty of enthusiasm, smart minds and eagerness to learn, and we had a fantastic day. BodyTalk and the Access techniques really resonated with the participants, and they found it deeply relevant to their work with the women and their own health and wellbeing. The participants had many questions and one theme that kept cropping up was the future: "Where do we go from here? "; "How can we go further with this? "; "How can we learn what you do"; and "When can you come back?". After subsequent discussion with the IBF, Aspire and my family, I am delighted to be able to begin the planning of my next trip to Rwanda, which will be in June. I am incredibly grateful for IBF's offer to part fund this second trip, and for Melanie Buzek's input on how to best take this forward to ensure the best possible impact. The Aspire women and their preschool children come to the centre most days for one whole year and this consistency creates a great basis for working with Access. My aim is to teach some of the staff to be Access Outreachers allowing them to teach the women how to do Access, and to take them through it in a group every week. I also had two afternoons to do sessions for the women and staff of Aspire Rwanda. The list people needing treatment was long and the time was short, but the flow was incredible and we managed to do some really powerful, but simple and short sessions right there on plastic chairs in a small boiling hot office. The most common complaint from the women was debilitating headaches, and the majority of the headaches lifted after the sessions. I was impressed with the women's openness and readiness to shift, and their faith in what we were doing. Since coming home, I have had email updates from the staff and it sounds like some lasting results were reached. I look forward to more detailed feedback. I also worked in the nursery of an SOS Village for orphans in Kigali. The teachers made a list of children for me to work with, and I was able to see them for 4-5 sessions each. 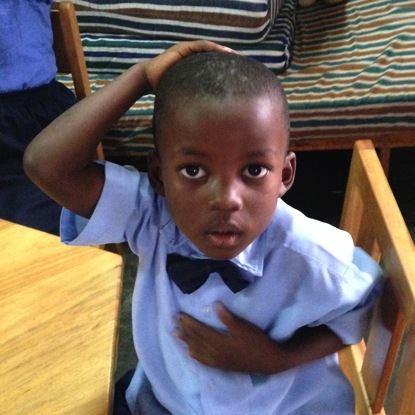 The children only spoke Kinyarwanda so I wasn't able to speak with them, and the teachers spoke basic English. Communicating BodyTalk in this environment was a healthy challenge for me. I also taught the children and the teachers how to tap their cortices and they eagerly started tapping when they saw me in the mornings. On my last day at the SOS Village, I sat down with one of the teachers and went through the list of children I had worked with. Here are a few of the stories: A 10-year-old girl with a mental age of about three, now seemed much happier and responsive. A four-year-old boy, who had been abandoned in the rain forest by his mother when he was a baby, and now had major concentration and behavioral problems, was much improved after his BodyTalk sessions. 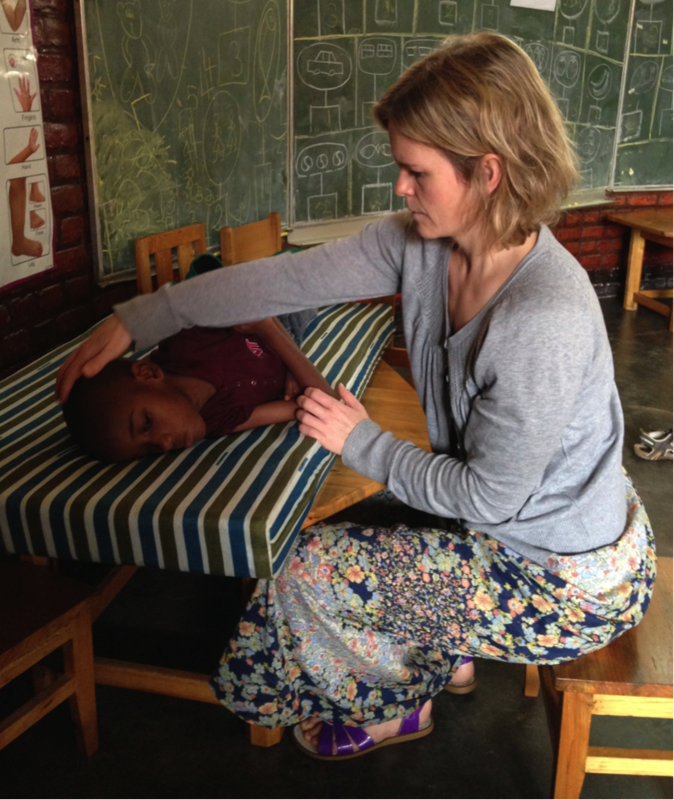 Another little boy had a severe scoliosis and a rare heart condition that no doctors in East Africa could operate on. He was very weak. Nobody knew anything about the background to these symptoms. Had he been born like this? Or what had happened to him during his first three years of life before he was brought to the orphanage? The results from the three short sessions were not clear when I left. A withdrawn, but violent boy of four years of age started sharing his problems after his BodyTalk sessions, and his aggressive behavior stopped. Being able to help children with pre-language traumas without being able to speak to them, and often with very little information about their background or their current symptoms, made me hugely grateful for the flexibility of BodyTalk. BodyTalk seemed to be perfectly suited to (also) this environment. Britt Jorgensen, PaRama CBP, BAT, MA, lives and practices in London, UK. 1 New York Times: Portraits of Reconciliation: 20 years after the genocide in Rwanda, reconciliation still happens one encounter at a time. (http://www.nytimes.com/interactive/2014/04/06/magazine/06-pieter-hugo-rwanda-portraits.html?_r=1).